12 Oct 1999, at sunset. National Park Highpoint #3. 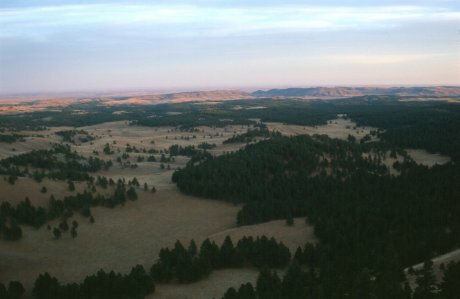 During our South Dakota trip, Tom Buckley and I visited Wind Cave National Park. 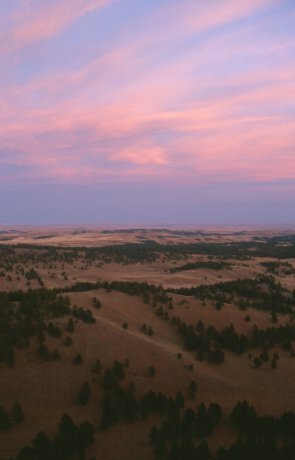 As the day drew to an end, we drove towards the Rankin Ridge observation tower, and made the short hike to the tower, the highpoint of the national park, right at sunset. That evening, at our campsite after a hearty campfire, we listened to elk bugle off in the distance. I was not aware at the time that this was the National Park highpoint. As such, I don't think I took care to stand on the absolute highest point. 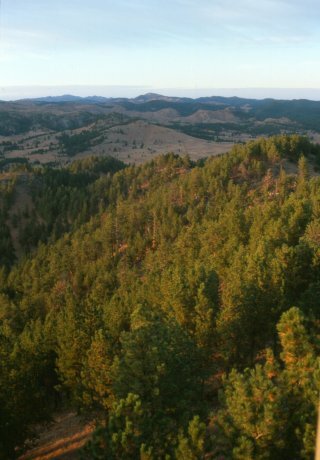 Instead, we just hiked to the observation tower and climbed it. I'll count it anyway. Sunset views from the Rankin Ridge observation tower.